The funny thing about this blog post is that I wrote it Memorial Day weekend. My husband, Dan, and I decided to take advantage of the long weekend and visit Disney one last time before our passes went in to blackout dates (for those of you who don’t know, Florida Resident seasonal passes are not valid for most of the busiest times of the year…not that I’m complaining when I get to miss the summer heat and major crowds!). On the ride up I wrote this, but never got around to posting it for you to read. Here I am, getting ready to fly to Istanbul next Monday and I have so many adventures to catch you up on! Hopefully this week will be better for posting than the last few months! As many of you know, I gave birth to the most adorable baby boy in January! Yup, I’m biased! So please forgive me for my long absence. It seems new babies can be quite all-encompassing. I had every intention of blogging our very first trip to Disney, which was back in March, but just haven’t made the time. So now that we are back in the car heading to Disney for David’s second trip, I have some uninterrupted time while he sleeps peacefully in his car seat. 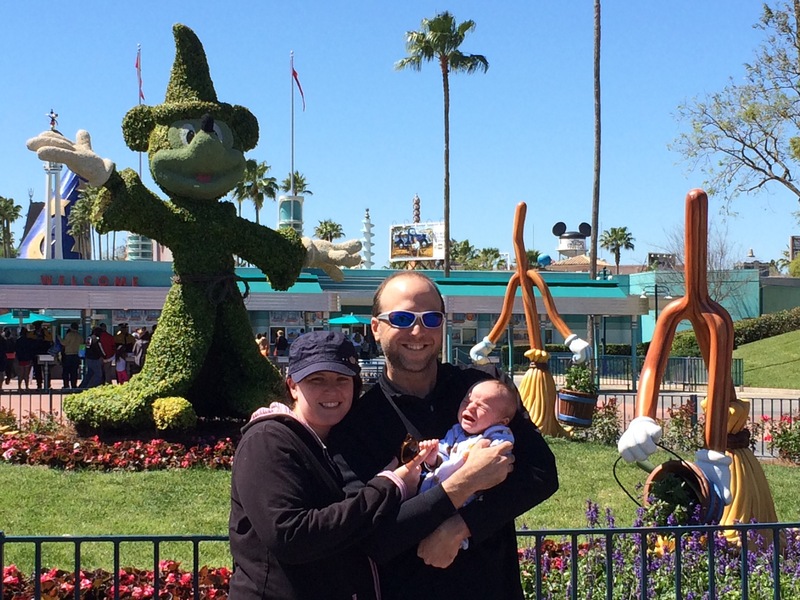 My first impression of Disney with an infant was overall very good! 1) Baby Care Stations! Our first park was Hollywood Studios. As we picked up our new annual passes, the cast member saw David and made sure to direct us to their Baby Care Station at Guest Relations. Not knowing what to expect, we went in and immediately remembered why we love Disney so much. There were quiet rooms to nurse babies, high chairs and microwaves for feeding other babies, dimmer lighting for promoting calm, and changing tables with disposable covers. In EPCOT and the Magic Kingdom there were dedicated cast members at the doors and walking around. If you forget supplies, run out, or for any reason need something, they have on hand for purchase things like diapers, wipes, formula, etc. These stations were a life saver when we needed to cool off too. 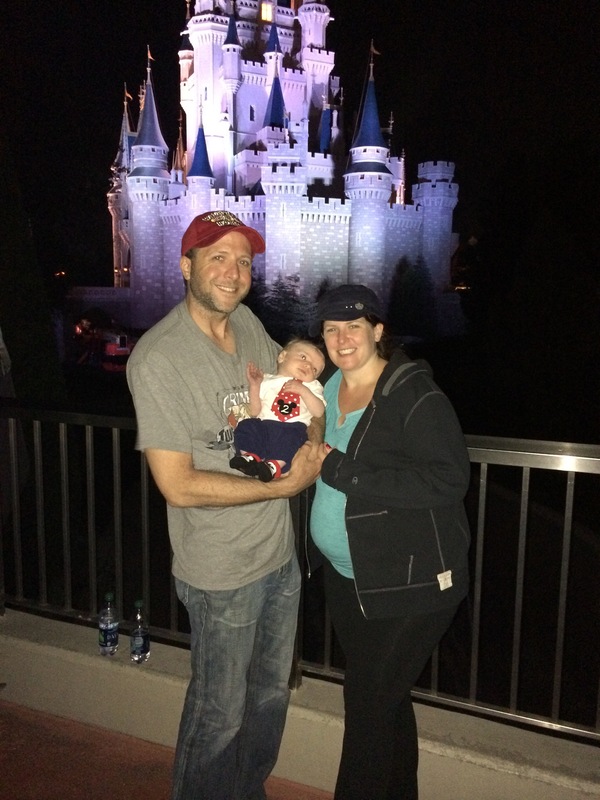 At the Magic Kingdom I ran into a woman in a bathroom who had just sat in a stall to nurse her baby. I felt horrible and she was so happy when I told her about the baby care areas. If you are looking for them, on the maps you can find the symbol of a pacifier to help you locate them. Magic Kingdom it is near Crystal Palace. EPCOT it is in the Odyssey building next to Mexico. Animal Kingdom it is to the left of the big tree before the bridge. Hollywood Studios it is to the left of the gate at guest relations. Everyone should know these places! 2) Babies can ride most of the rides with you! If there is no height requirement, they are allowed. The only rides with height requirements are really the roller coasters. David’s first ride was The Great Movie Ride. I’d like to say he loved it, but at 2 months old… He slept right through it. He also rode Journey into Imagination, Pirates of the Caribbean, The Jungle Cruise, The Carousel of Progress, and the Peoplemover. There were many others we could have done, but due to spring breakers, the wait times were really long. 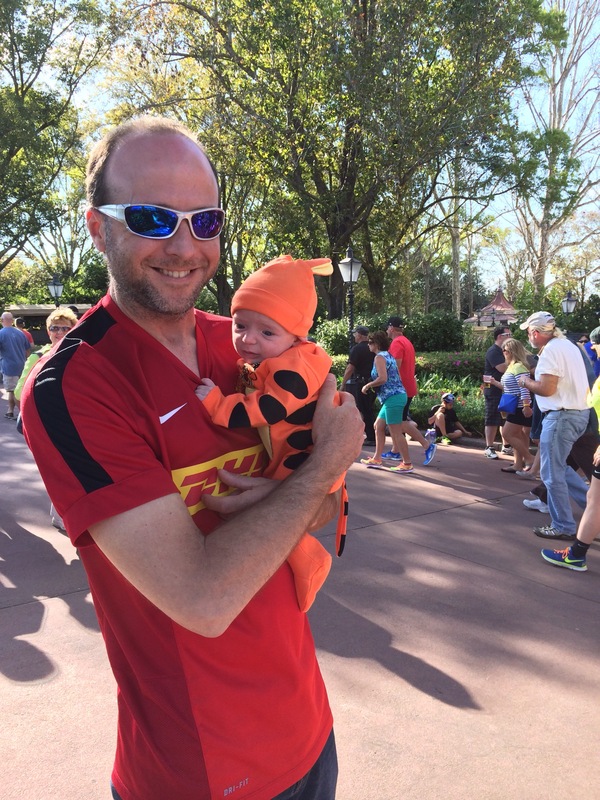 3) But what do you do when the baby can’t go on a ride? Child Swap! Every ride at Disney has Child Swap. One person can go on the ride while the other stays with the child. Be sure to tell a cast member when you get to the ride and they will give the second person a fast pass so they can skip the line when person #1 is done. The first day was a huge adjustment because Danny and I have always gone to Disney with only adults. We bickered and we bitched. And at the end of the day decided that it was a priceless experience! Previous PostWhy Choose an All-Inclusive Resort?